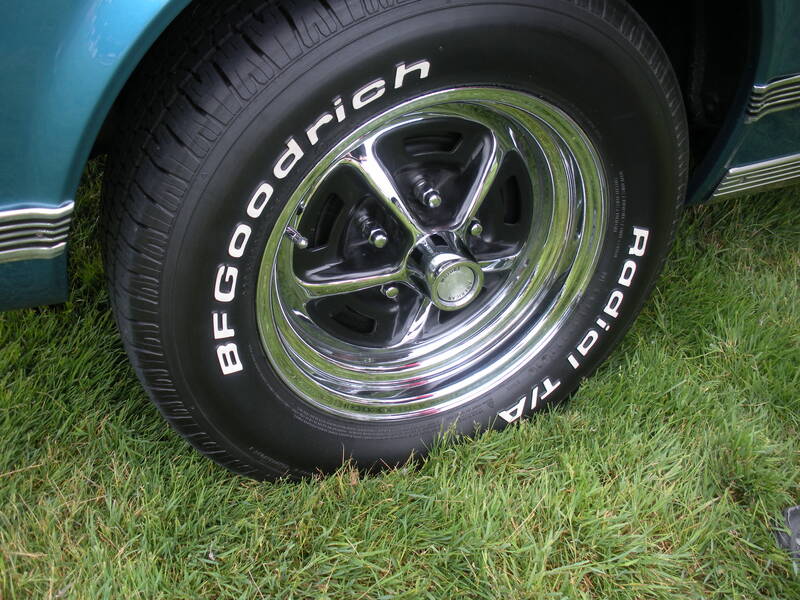 If Ken Lingenfelter was a lucky guy Saturday (see post here), then I was a lucky guy Sunday. Why? Because I got to spend pretty much the entire days with my kids. As those parents out there who have older children know, you understand how difficult this is to arrange and how rarely it happens. And I didn’t just get to spend the day with them, I got to spend the day with them doing and sharing things I love. 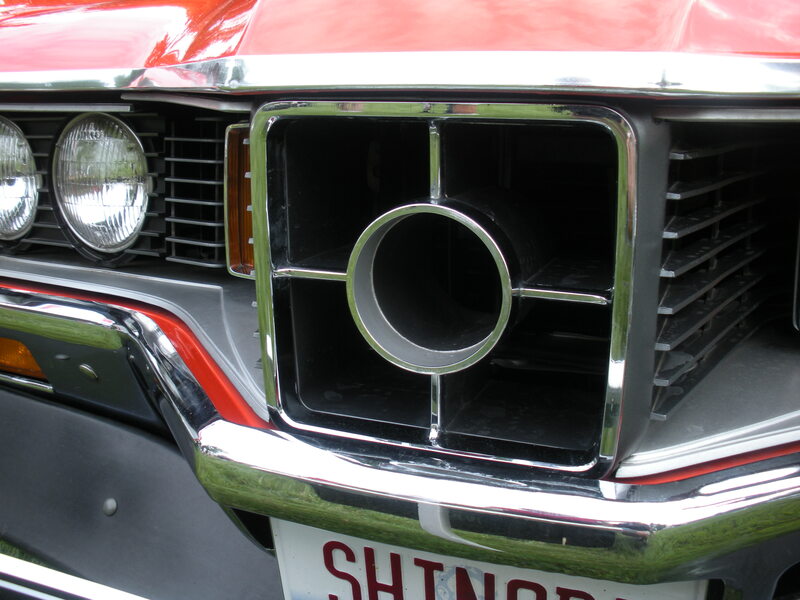 And it started off with a bang at the EyesOn Design car show in Grosse Pointe. So what is it about old cars that makes many of so interested and others shell out huge sums to restore them? 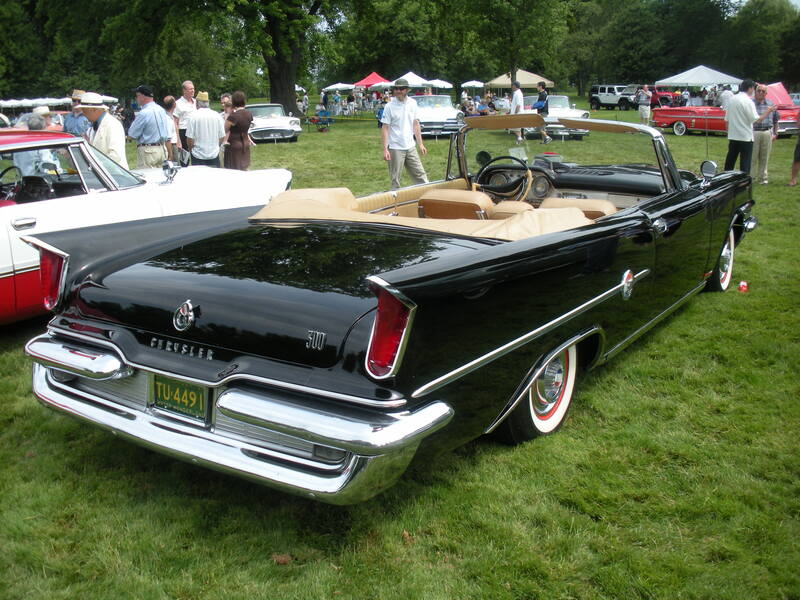 Aside from the obvious answer of nostalgia, one answer I hear over and over is the design of old cars is better. But this sounds like too much of an oversimplification to me. 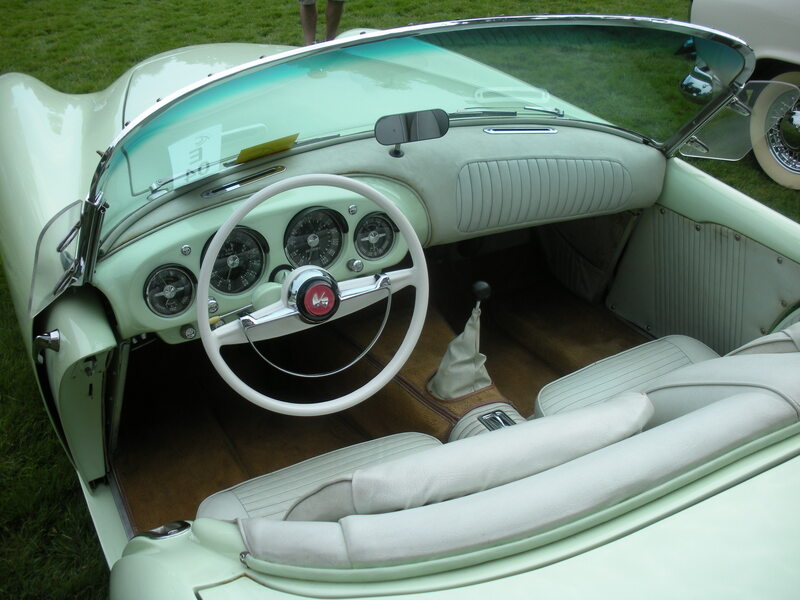 Certainly you cannot argue that there were beautiful cars designed back in the day. 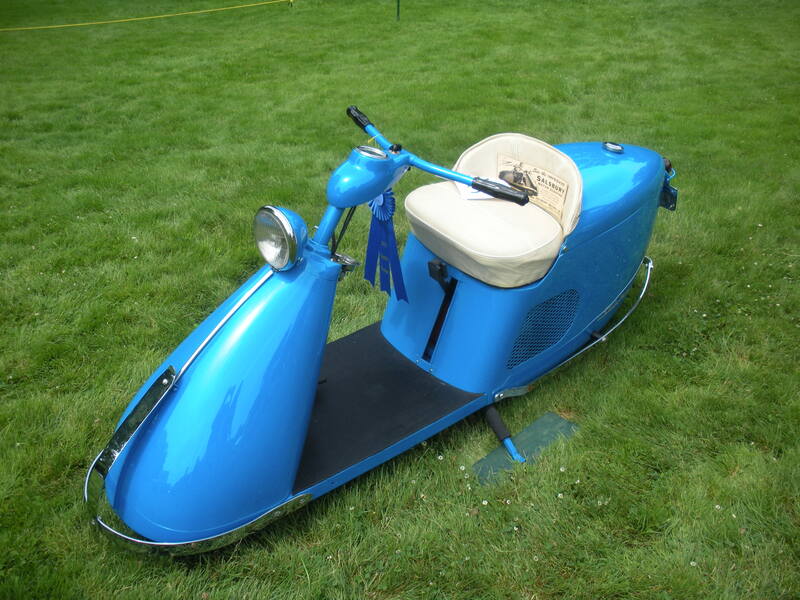 However a lot of them were not necessarily praised for their design at the time, and many were not very successful which makes them rare contributes to their value today. And there certainly are beautiful cars still being designed today (Audi S5 anybody?). And this website actually claims the “Mostly, the reason for this is pride”. Listening to my kids walking around the show, another likely culprit emerged, the attention to detail. So in the interest of continuing to post alternative ideas on design, I’d thought it might be nice to showcase the details and not the entire vehicle. 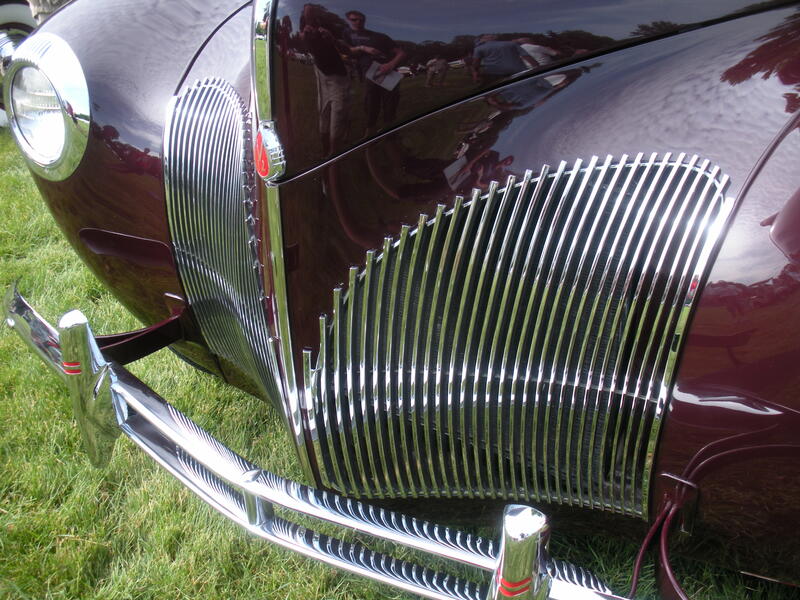 And the grille on the Cord 812 is about as iconic a detail as exists. 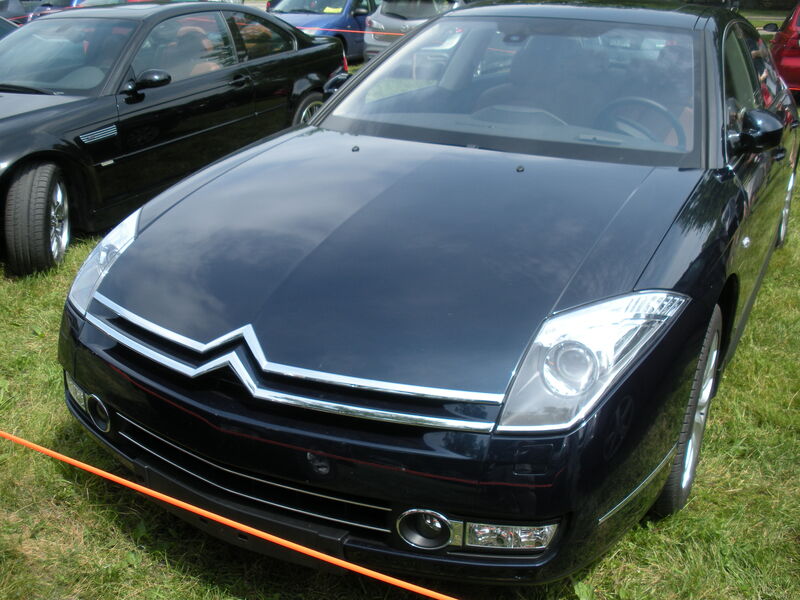 It even earned the name “coffin nose”. 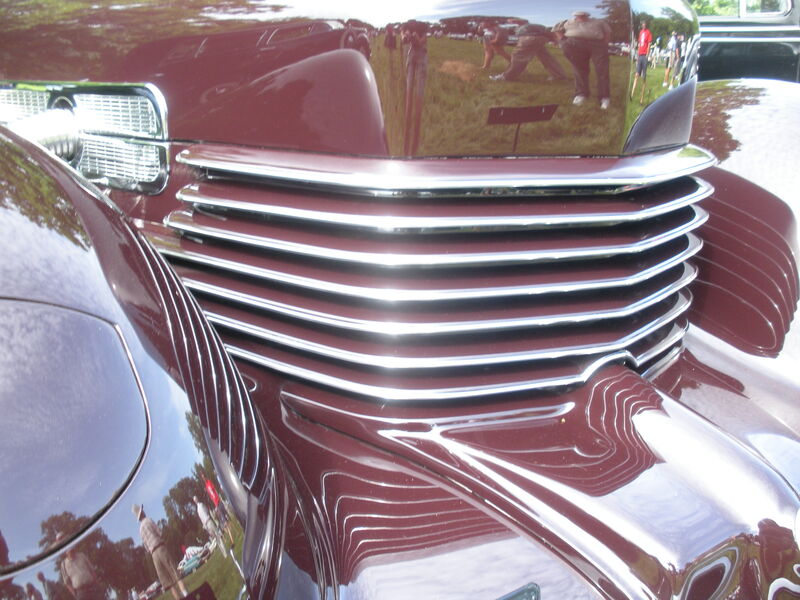 Do you know of any other car where the grille got its own name? They are few and far between. 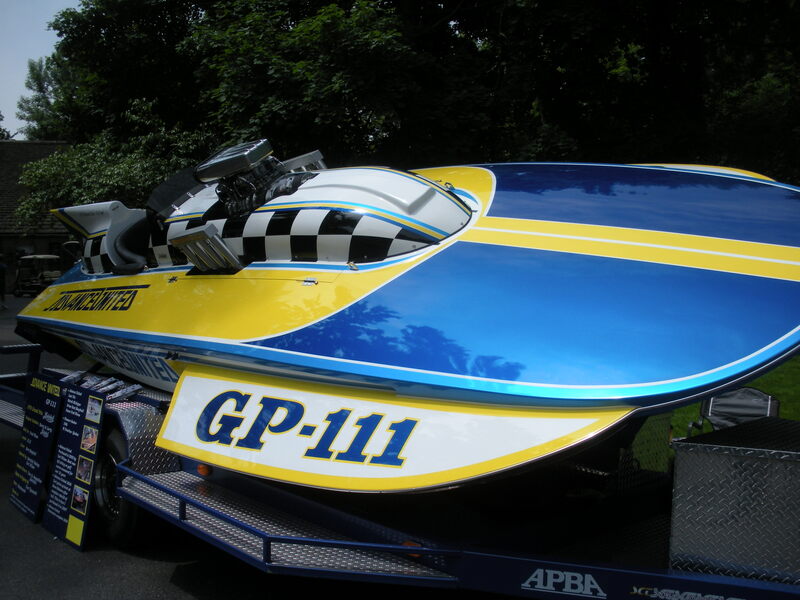 By the way, if you wish to see pictures of the vehicles themselves look me up on Facebook. Details, details. 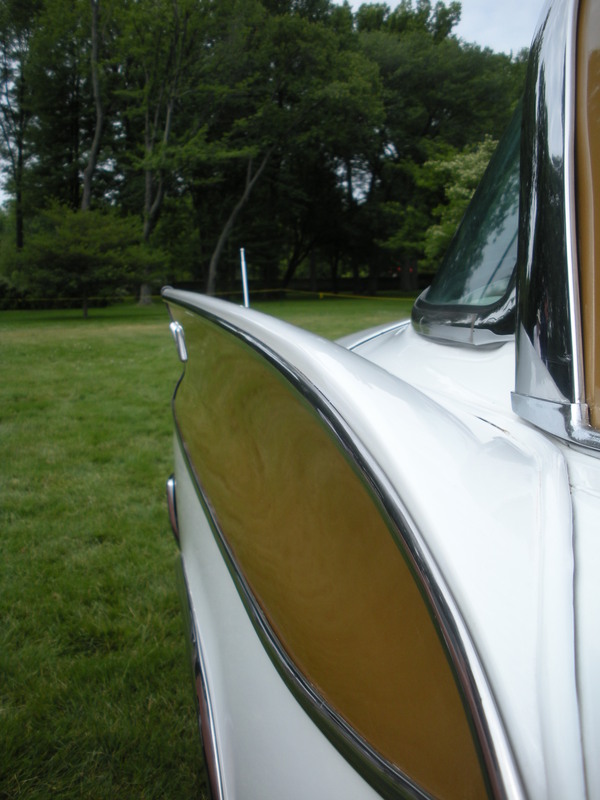 For example How about the location chosen for the side view mirrors on this one? 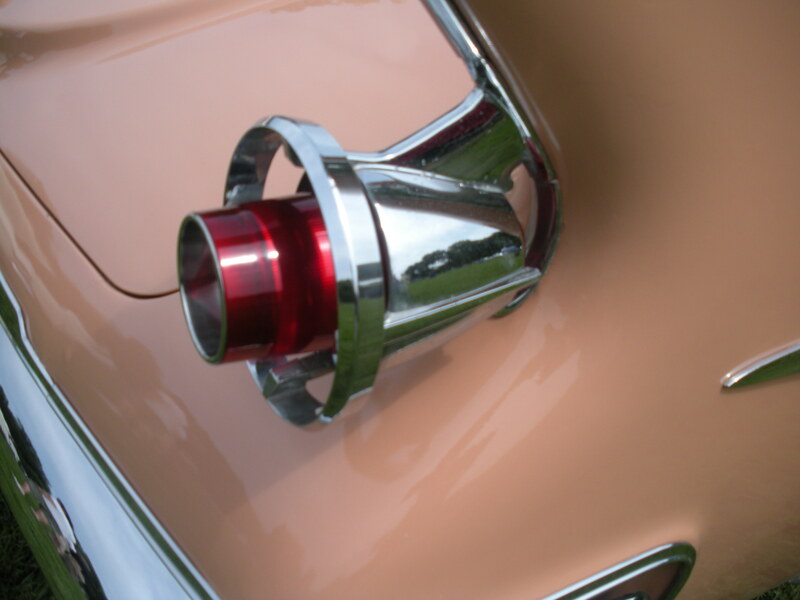 And the beautiful knob that attaches it. 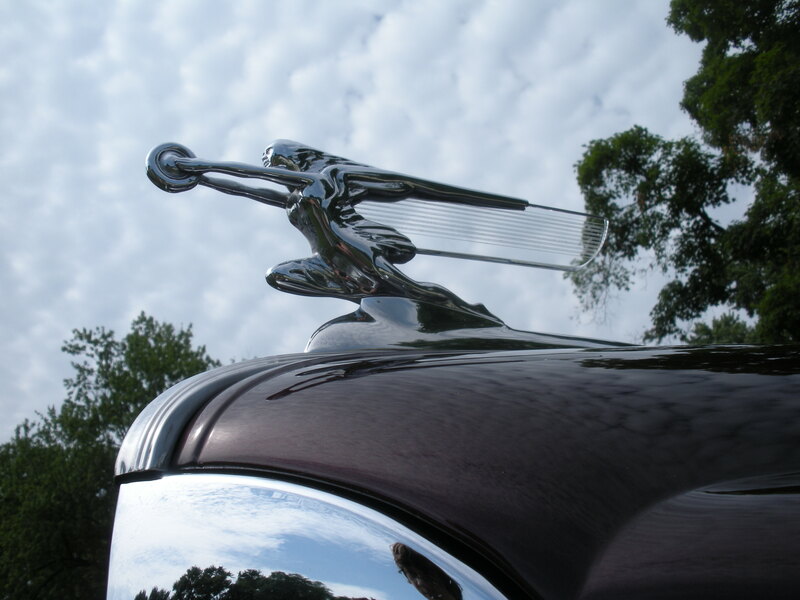 And what about the beautiful hood ornaments of the thirties and forties? I included a few here because I just love the way they interact with the car’s surfaces and contrast with the environment in the background. 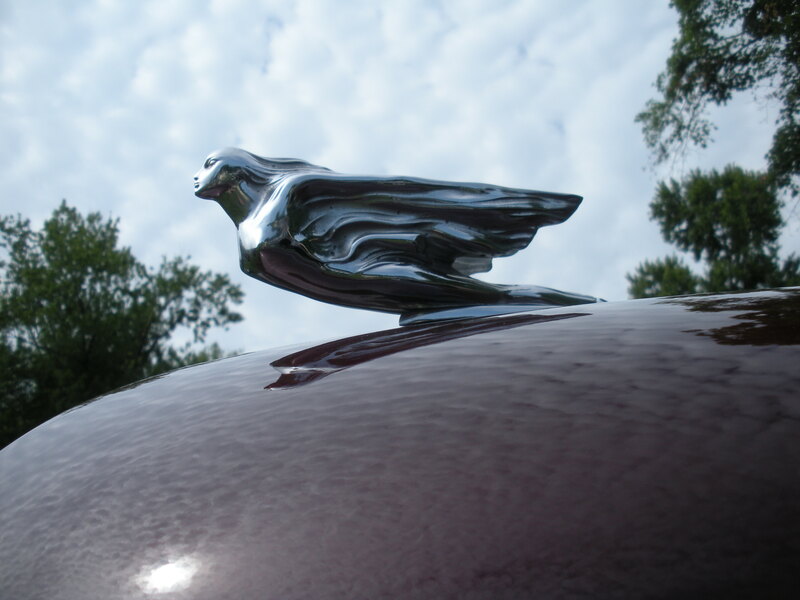 But if you want to see some awesome photographs of hood ornaments I suggest you visit this site. 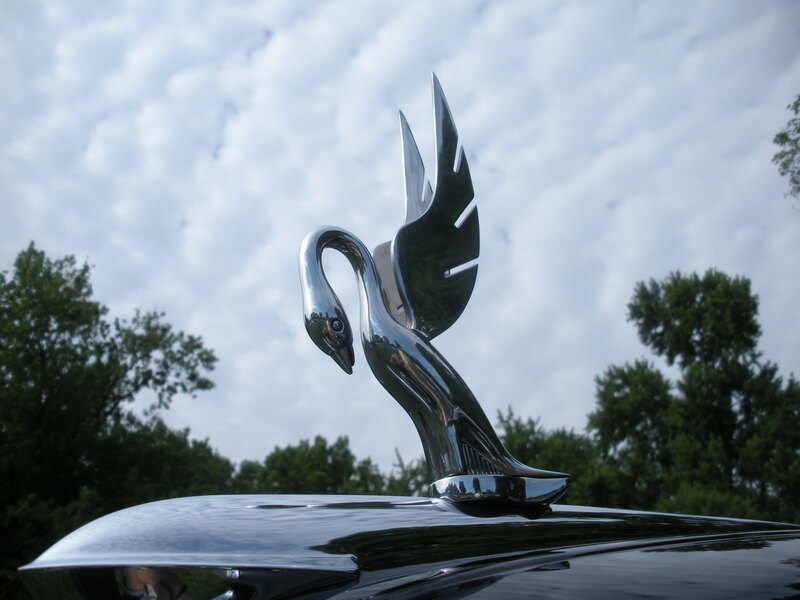 If hood ornaments were the epitome of design detail in the thirties and forties, then fins were the epitome of design details in the fifties. 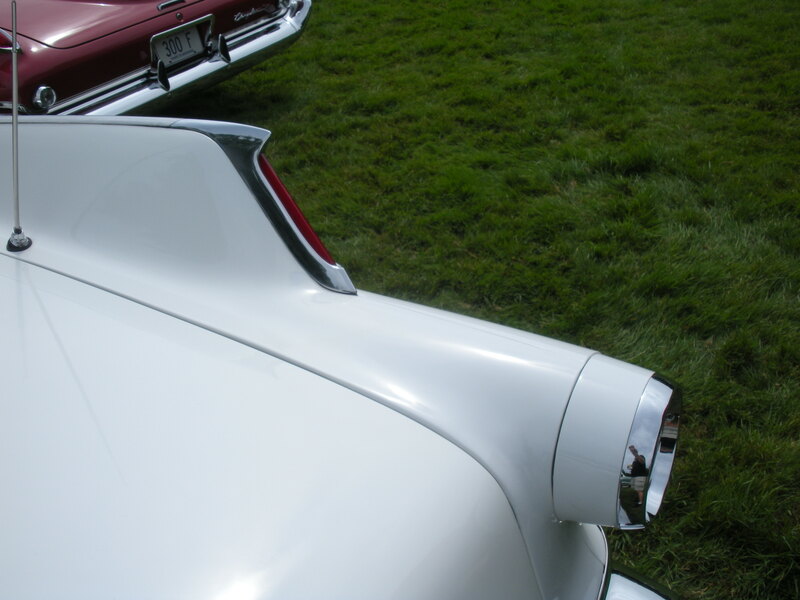 To read more about the rise and fall of tail fins, take a look at this awesome site here. 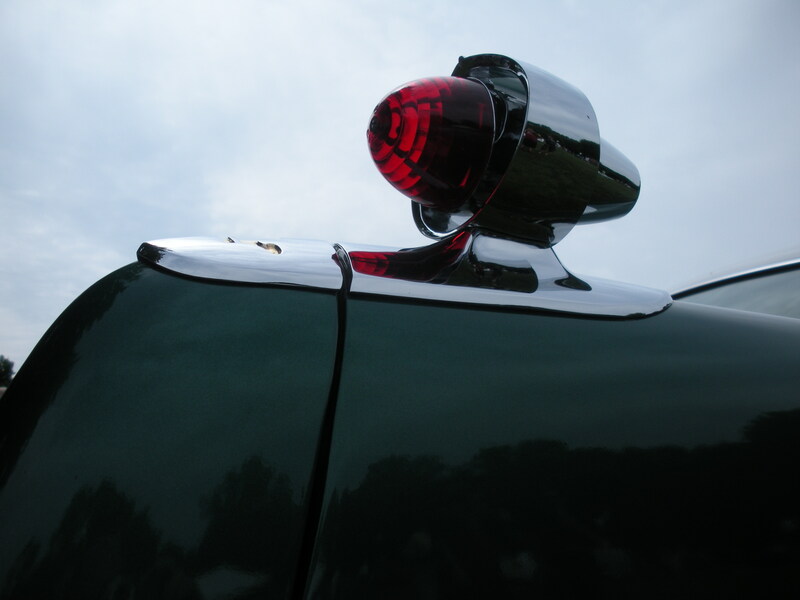 And not just tail fins, but the level of detail and craftsmanship that went into the tail lamps was fantastic as well. Which brings me to one of the reasons I love this show. 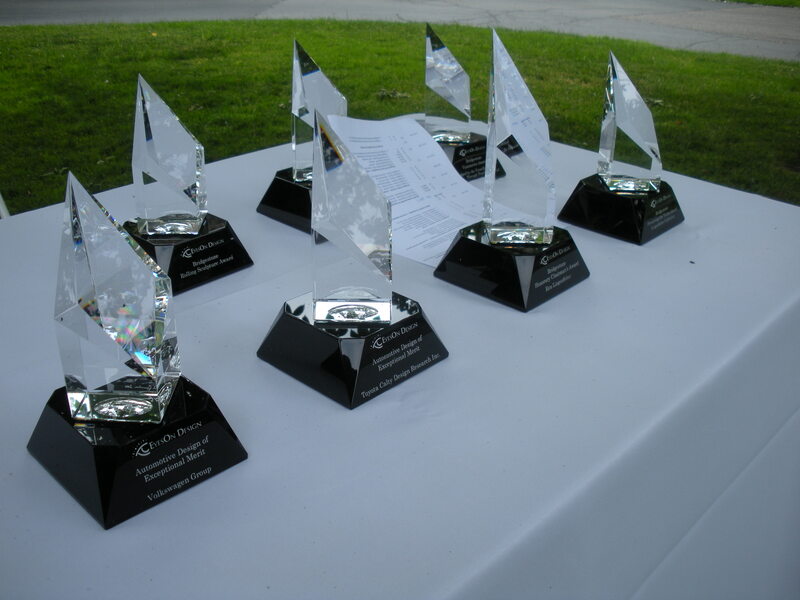 If you look at the quality of the chrome on the first picture you can see that it is not in the best of shape. I spent some time talking with Doc Hessburg this week about “trailer queens” (I especially like the 2nd definition on the link) and the kind of cars that end up at shows. 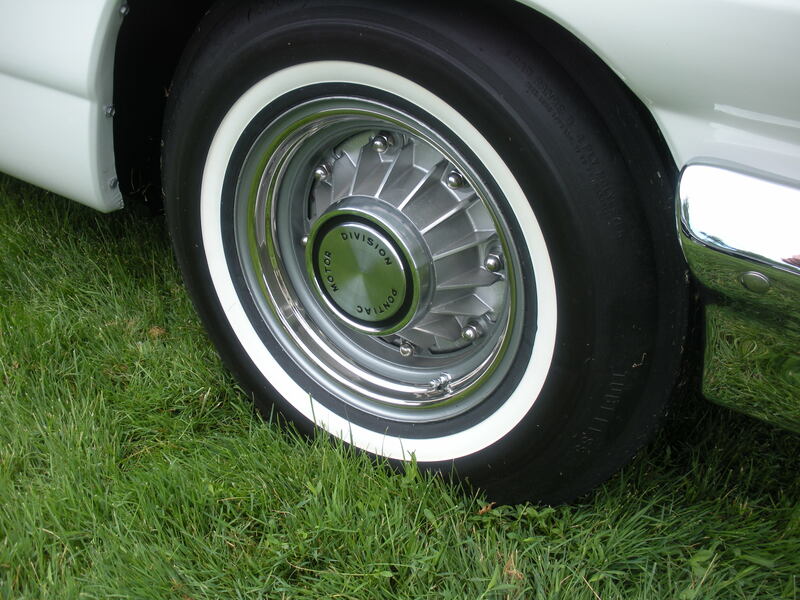 I explained if I ever got a totally restored classic vehicle I would probably sell it and but a couple of un-restored ones (not that there is anything wrong with restoring cars – just not fond of the over-restored ones). For me the enjoyment comes from driving and using vehicles and seeing them in their natural environment. 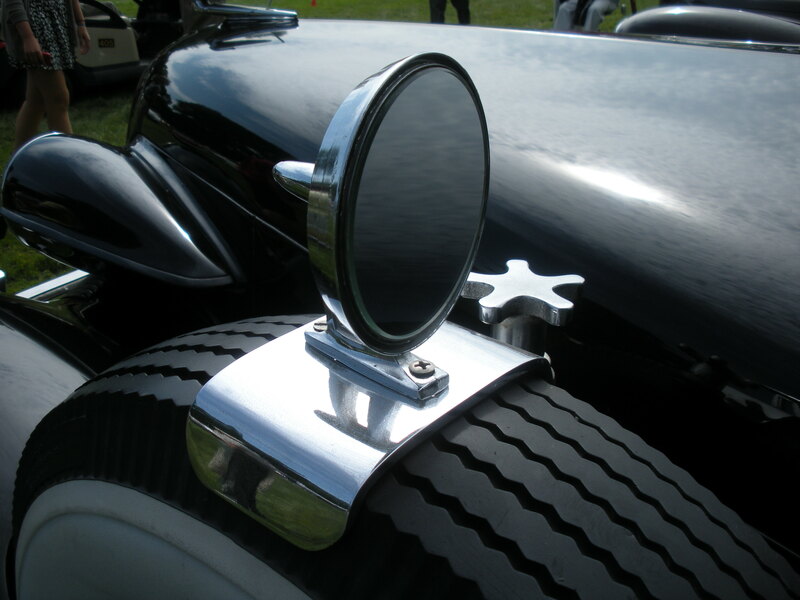 EyesOn Design has a similar feeling because many of the cars on display have a patina that is beautiful in its own way. And the show is all about design and not the current condition of the car. Which is why the show is so well supported by the design community. I guess I should also include a few pictures of interiors; an area my kids have assured me where today’s cars are MUCH better than the old ones. OK, I took that last statement a bit out of context. 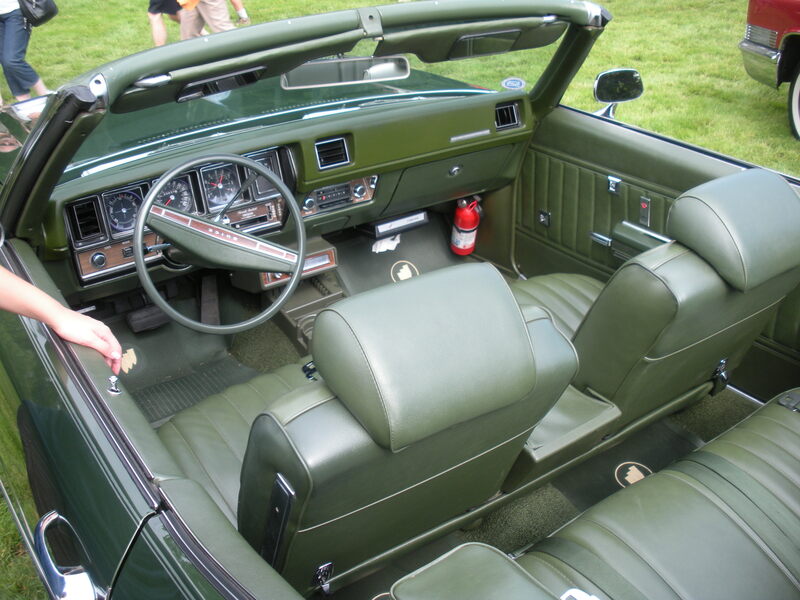 They were referring specifically to the color combinations and the materials used for seat covers. And in this area I have to agree. 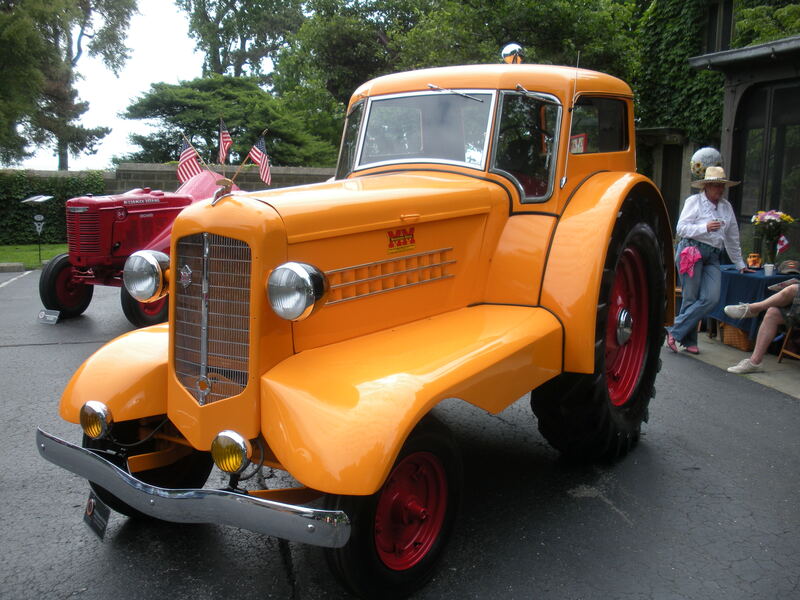 I cannot imagine at my age jumping in some of these vehicles and driving cross-country – my back would never make it! 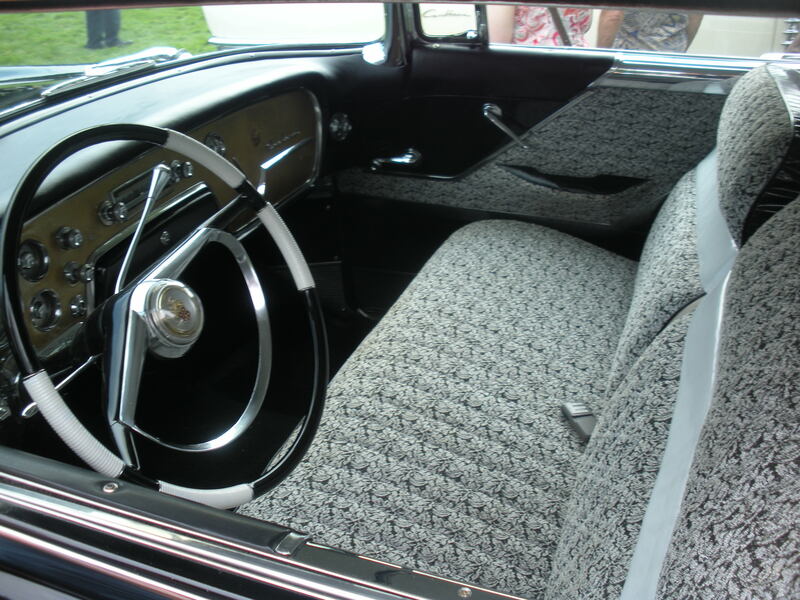 If you look at the top picture of interiors you can see one of the other great things about the EyesOn Design car show….. no ropes. Over 250 vehicles and not a single “Do Not Touch” sign, no barriers, no ropes, no nothing. That is not to say you should be touching each and every car there, but sometimes I have a bit of a problem keeping my hands to myself (OK, I set myself up for some crude comments here – but you can keep them to yourselves). Uh-oh, almost forgot the wheels. Speaking of great things about EyesOn Design, it is also awesome that the show is about great design and not just great cars. 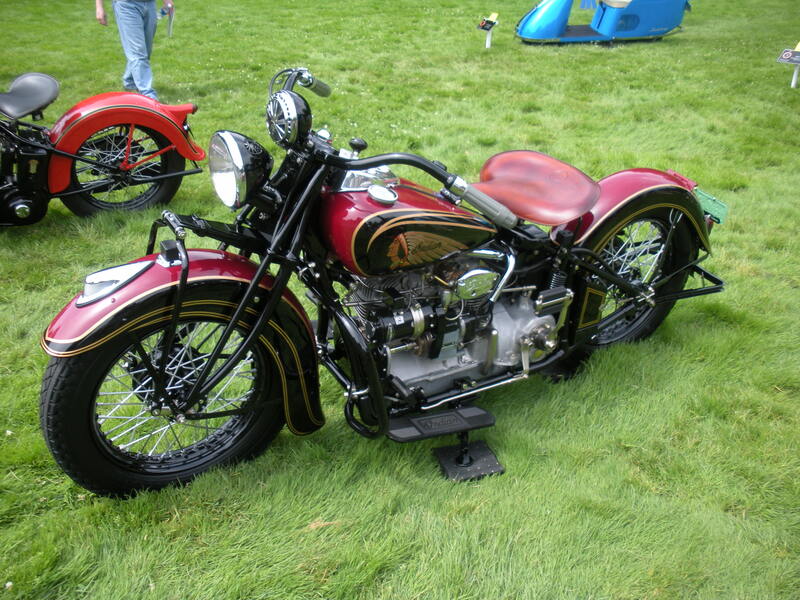 There was a bit of everything there, from really cool tractors, to motorcycles and vintage race boats as well. 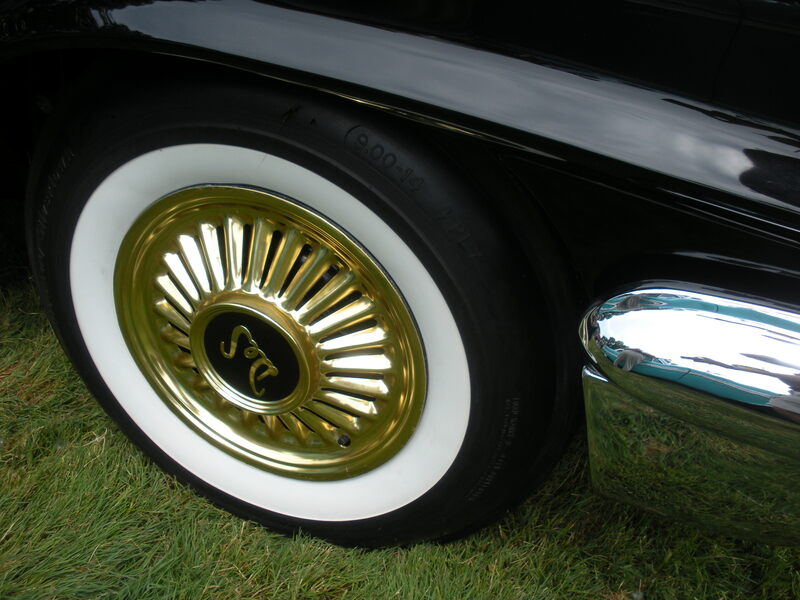 3) It’s about Great Design – not great restorations, the most expensive cars or even just about cars at all. Its about great design, the beautiful curves and details that separate a common vehicle from one that stimulates the brain. 2) There are no ropes – or barriers, or “Do Not Touch” signs etc. The vehicles are there to be enjoyed, and sometimes that means you just have to touch it. 1) It’s on Father’s Day – which means even though some of my kids don’t necessarily enjoy the same things I do, I was able to get them to spend the day with me doing something I really enjoy – appreciating the art, beauty and design of automobiles and spending time with others who enjoy the same thing (a special shout out to all my designer friends who I ran into at the show). 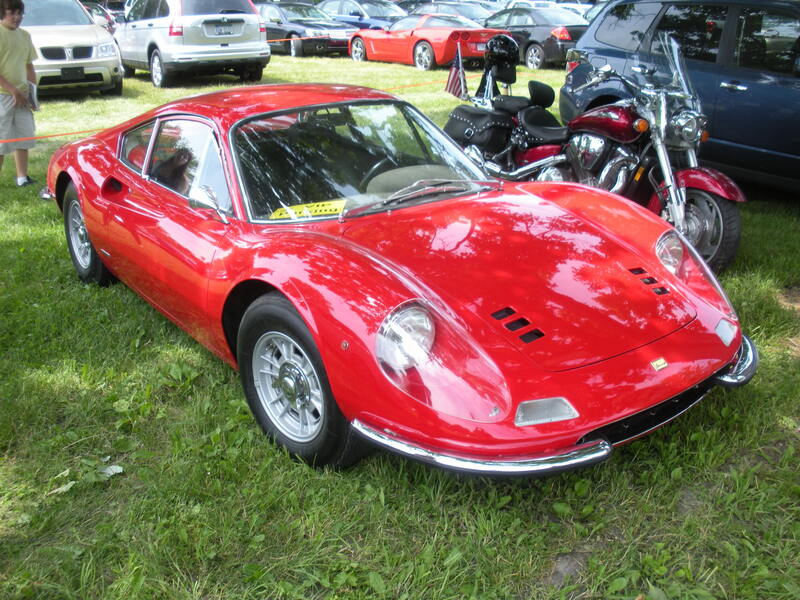 This entry was posted in On The Road and tagged Citroen C6, Doc Philip Hessburg, EyesOn Design, Ferrari Dino, Grilles, Hood Ornaments, Ken Lingenfelter, Tail Fins, Tail lights, Trailer Queens. Bookmark the permalink.